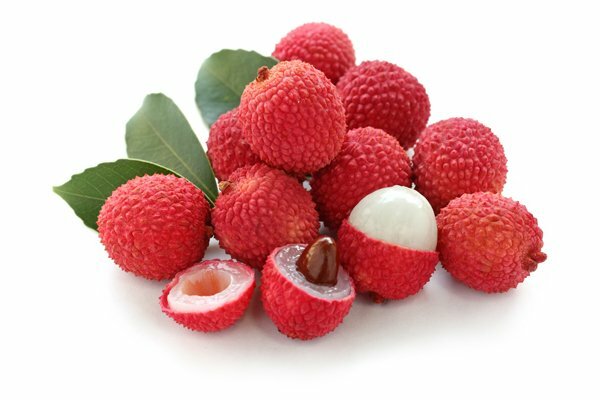 Lychee / Litchi is a tropical fruit native to low elevation lands of China, Taiwan, and South East Asia. Lychee is a strange and wonderful fruit with a numerous health benefits. Besides being sweet and nutritious, these berries bring cooling effect on the human body to beat the scorching summer heat. It contains many nutrients and vitamins that help to fight against various diseases as well as being a treatment for skin care, child growth and strengthening the body. Let’s see some of the amazing health benefits of lychee. Lychee is soft and pulpy, white or pink in color, and the size is usually about 2 inches high and 2 inches wide. The outer surface is covered with a red colored rough textured easily removable ring. Inside it consists of translucent white sweet and juicy fruit. The pulp has a single glossy brown nut-like a seed. Litchi has anti-cancer properties. This fruit has flavonoids in the pulp which helps to fight fatal and lethal diseases like cancer. It contains Flavones, quercetin and kaempferol which are powerful compounds in reducing the proliferation of cancer cells. Litchi fruit provides impressive anti-breast cancer properties. The significant amount of dietary fiber in lychee, as in most fruits and vegetables, helps add bulk to your stool and increases your digestive health. Litchi, like citrus fruits, is an excellent source of vitamin C. Studies suggest that consumption of fruits rich in vitamin C helps the human body develop resistance against infectious agents and scavenge harmful, pro-inflammatory free radicals. Your immune system gets a major boost, as vitamin C is a major antioxidant compound and is known to stimulate the activity of white blood cells, the main defensive line of your body’s immune system. Litchi is a wealthy source of phosphorus and magnesium which supports powerful bones and trace minerals like copper and manganese which strengthens brittle bones. It is also a good source of B-complex vitamins such as thiamine, riboflavin, niacin, and folates. These Vitamins help the body to metabolize carbohydrates, protein, and fats. It has a high level of Beta carotene which strengthens the immune system and improves the function of the liver, and other organs. It is quite low in calories, contains no saturated fats or cholesterol and is rich in dietary fiber which is very significant for people who want to lose weight. It helps to nourish the skin oils which reduce the growth of acne. It also refines the skin and leads to less spot on the skin. Health Benefits of Lychee in maintaining blood pressure. It is rich in potassium which can help your body maintain a fluid balance. It reduces the constriction of blood vessels and arteries and lowering the stress on the cardiovascular system.